The children have enjoyed taking part in transport related activities this week. We’ve looked at rockets, cars, buses, ships/boats and even animals used for transport. At the beginning of the week we made rockets using cardboard and tape. We played a game focusing on targeting and used straws to blow the rockets into the pot we were aiming at. The children have initiated a lot of role play whilst looking at different types of transport. So a group of friends went off to tie the rope around a log and ride on their horses. During the afternoon whilst the younger children were sleeping, the older children chose to play a game. They used a bit of material to blindfold an adult and guide him around the forest. They really enjoyed taking lead and being responsible for making sure they didn’t walk the adult into a tree! 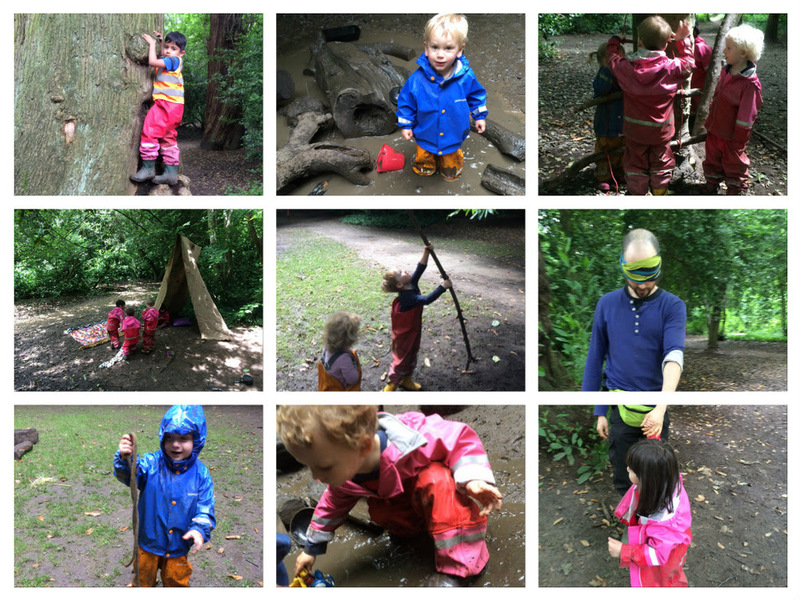 We used a big hessian mat to make a den in the forest. It was the children’s idea to put it up and use it as a supermarket. They offered for sale every product under the sun at prices none of us could afford. We will be carrying on with our transport topic as the children are coming up with great ideas and seem to be enjoying it. And we will also be talking briefly about Ramadan and Eid. Thank you for respecting our request of not entering Piccolo during pick up and drop off. The children feel a lot more comfortable this way. It would be nice for parents to upload pictures of exciting things your children have done at home or on the weekend. We would love to see these and speak to the children about their experiences. Please label your children’s items to minimize risk of loss.